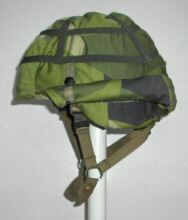 This is the first version. 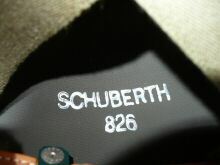 Made by Courtaulds in the United Kingdom. 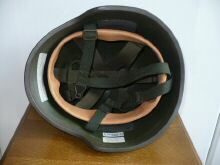 See also here at Mats' Helmets, which includes a picture of the the second version of the liner. 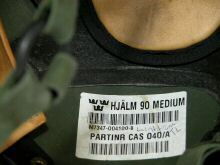 "Here's a note on the Swedish M90. 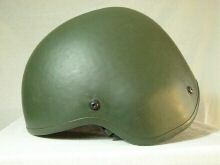 The second version's shell is not "virtually identical" but exactly identical, because the second version is the relined first version. 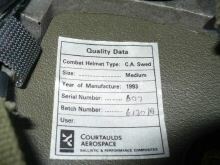 For us collectors that means that M90s with liner 1 will be much rarer than those with liner 2. 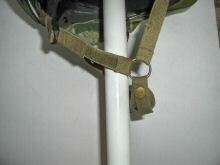 All M90s with liner 1 that could be found were upgraded with liner 2. 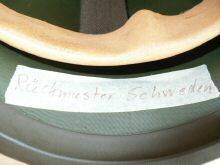 Oh, and here's another note. 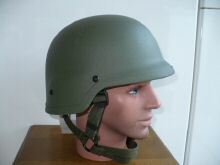 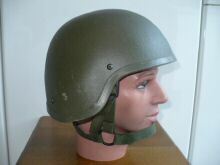 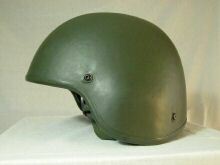 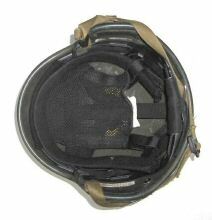 The shape of the shell of the M90 is identical for sizes M and L. Size S, though, is a bit different: it has a different liner, and the helmet is not made in the UK but in Norway. 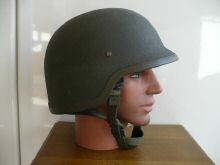 I have never seen one of these myself and have not found any photos. 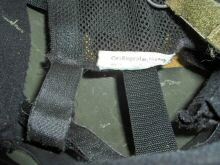 The only information I have is from a Swedish fan site for the Swedish Armed Forces. 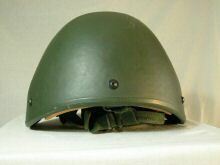 According to another source (The Military Historical Society of the province Småland), there are now only two sizes of M90, M and L."
This is the second version. 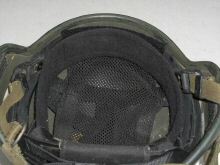 The shell is identical to the original, but there is a new liner. 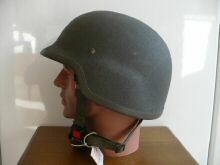 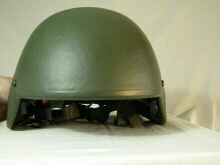 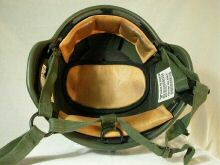 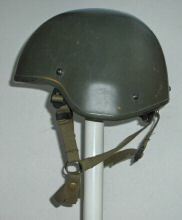 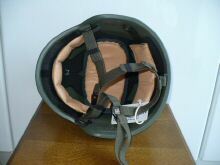 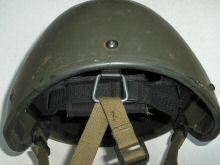 "This helmet was a troop test helmet also for the German Bundeswehr. 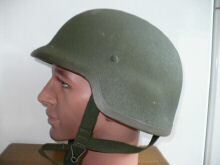 This helmet is different because the chinstrap is not in olive green. 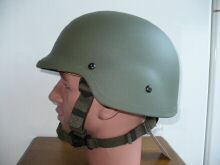 It is the Swedish chinstrap in green colour. 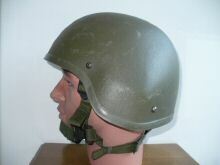 You find such a helmet also in the book Les Casques de Combat vol III on page 336. 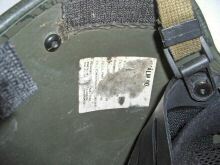 The marking inside read 10/87 826." 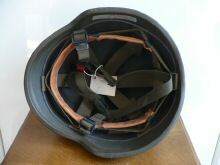 Schuberth test helmet 826 B1 with M1 suspension. 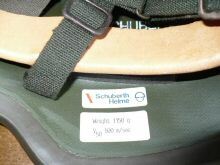 "The second Swedish test helmet made by Schuberth. 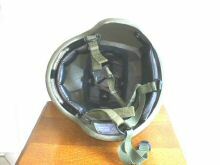 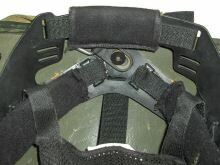 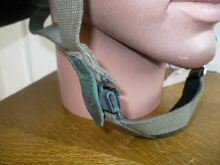 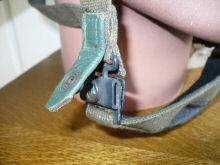 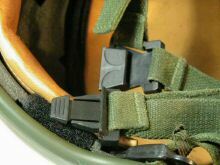 It has the 826 B1 shell with a M1 style suspension and a special chinstrap with push button quick release button and a so called survival buckle secured by a snap fastener on a green leather strip. 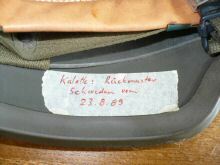 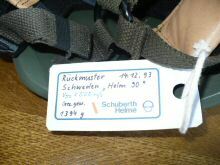 The shell is marked with: Sample returned from Sweden 23.08.89." 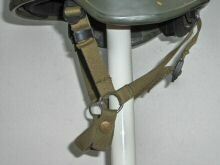 "A Swedish suspension from the M90 was installed in a 826 shell. 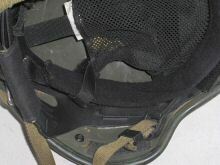 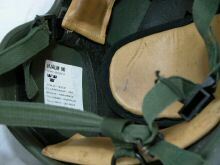 Also a Swedish chinstrap is used in this test helmet.The label reads: sample coming back from Sweden 14.12.93."